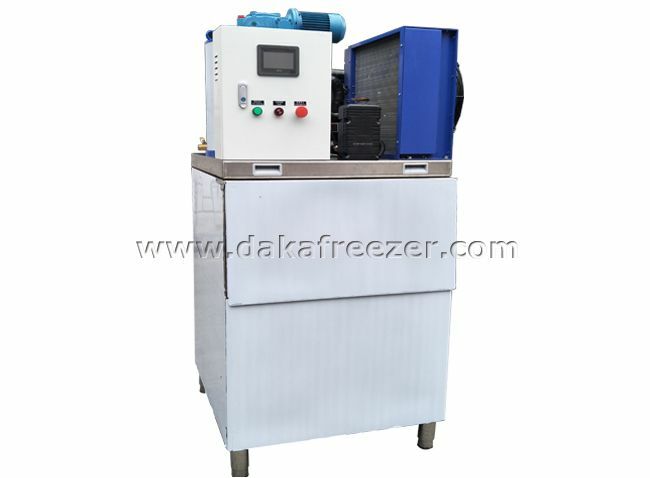 Ice production from 300kg/d-2500kg/d, which can meet the commercial requirements. 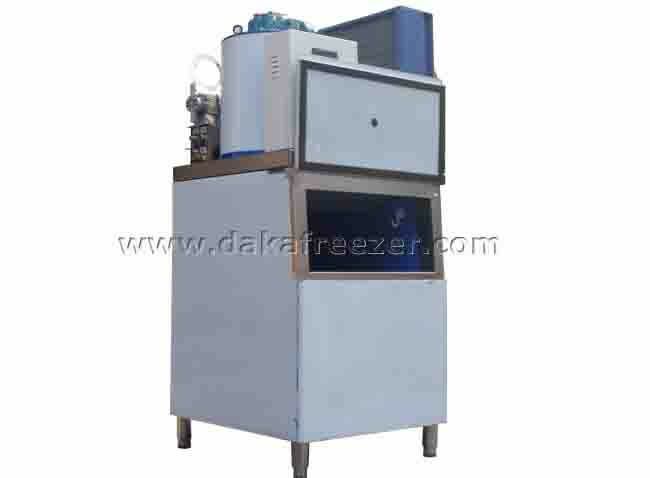 DAKA FREEZER commercial ice machines are equipped with various brands of compressors such as the danfoss/Copeland scroll and the semi-closed piston. The storage bin made of double-sided stainless steel. 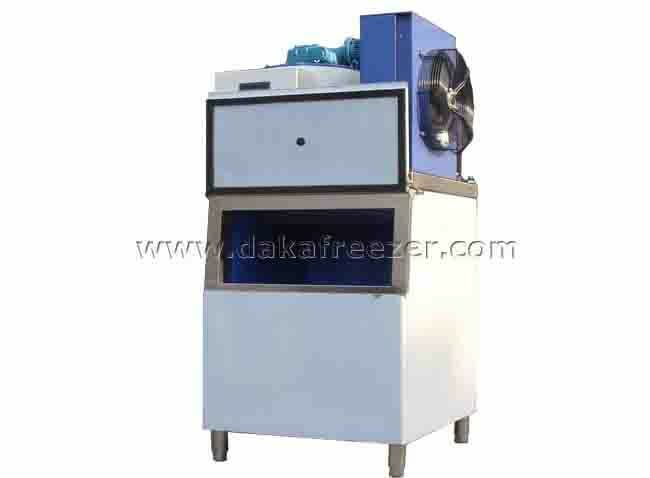 Customers can choose integral type or separate type (unit + ice bin) according to the different application. coordingation matched and work safely and effictiently under the function of PLC programmable controller. 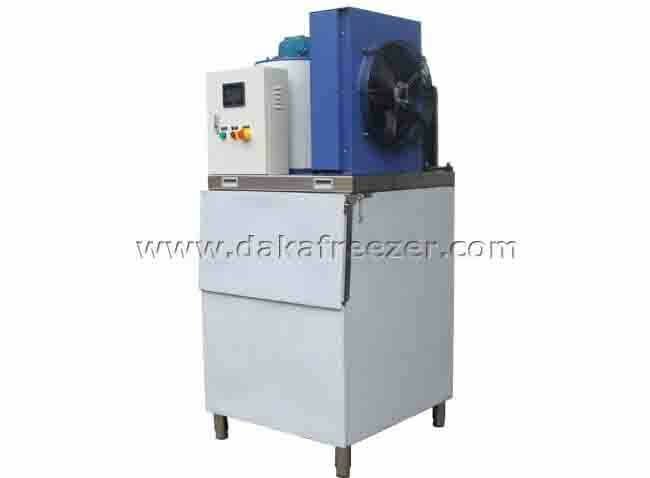 phase sequence protection and overload protection etc. When there is a failure, the PLC stops the unit automatically for protection and displays the status of the indicator light at the input point. 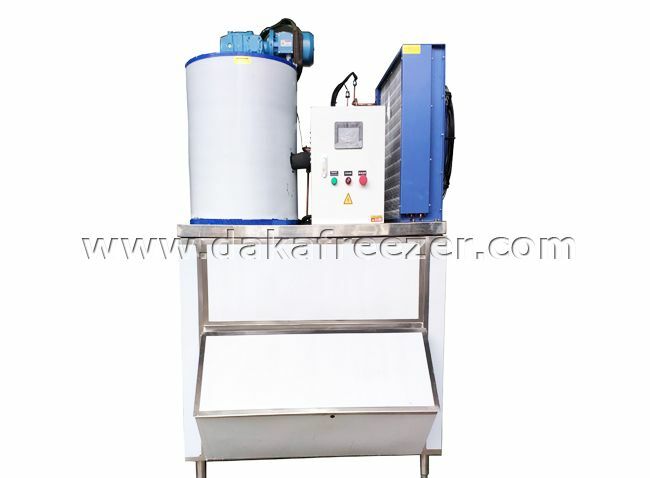 When the fault is restored, the PLC will start the unit automatically,realizing full automatic control. 1. 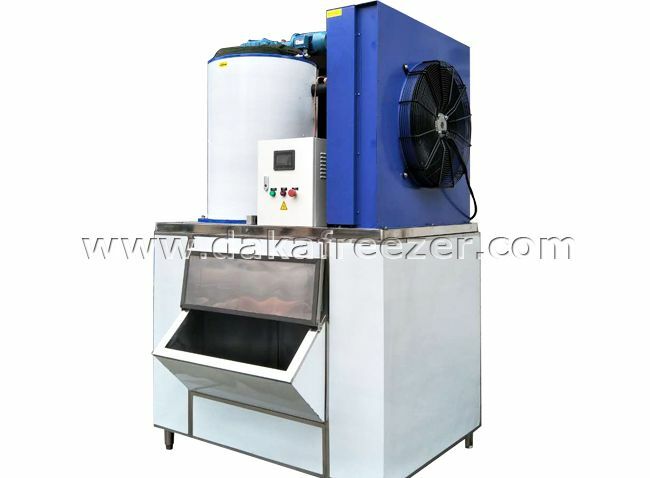 Standard cooling method: Air cooling, if need water cooling,it can be customized according to customer requirements. 2. 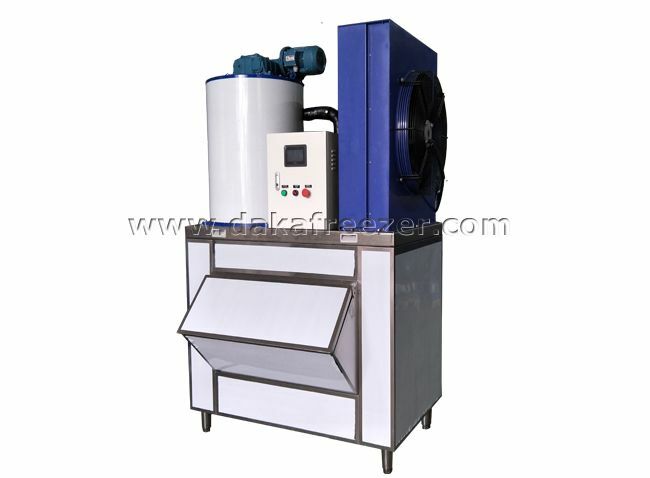 Standard conditions: Ambient temperature 25℃, water inlet temperature 15℃, evaporating temperature -22℃, condensing temperature 40℃. 3. 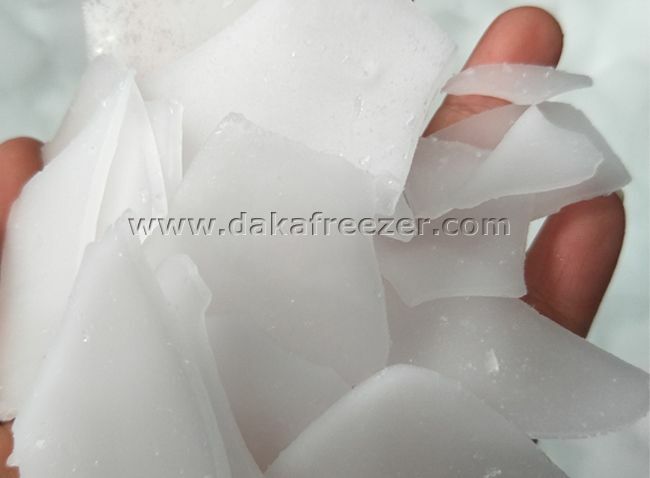 Thickness of the flake ice: 1.5mm-2.2mm,it can be adjustable. 4. The above parameters will be changed subject to the technical invotation without further notice.